Rajgir, India -- A three-day conference convened by the Nava Nalanda Mahavihare (NNM) and funded by the Indian government brought together Buddhist leaders, scholars and scientists to this historic capital of the Magadha kingdom of the Buddha’s time, to discuss the role of Buddhism in addressing the challenges of the 21st century, with many emphasizing that for humanity to survive science, ethics and Buddhism’s mind-centric approach to understanding nature and society could help. << Tibetan spiritual leader the Dalai Lama on Friday inaugurated a three-day international Buddhist conference in Bihar's Nalanda district. Ignoring protests from China, the Indian government invited His Holiness the Dalai Lama to give the inaugural address and also launch NNM’s new Department of Buddhist Sciences. 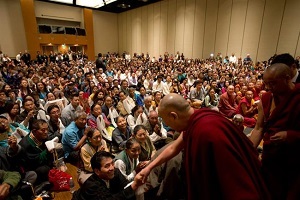 In his address to over 1000 Indian and foreign delegates the Tibetan spiritual leader emphasized that while people may be prone to violence these days, it is also a human nature that they have inbuilt compassion in them. He said that negative emotions that generate within us keeps us “plagued and diseased” and recommended that the way to purify our minds is through the Vipassana Meditation path that the Buddha thought over 2500 years ago and which has today become a fad in the West known as Mindfulness. “We are experiencing joy and spiritual bliss today in this hall. However, at this very time, people are dying of violence in the name of religion in parts of the world. Religion should be a source of happiness and contentment, not violence,” Dalai Lama lamented, calling on India to take a more active role internationally to promote the unique message of open-mindedness and religious harmony that Buddhism contains. After having unwittingly referred to Indians as “we” the Dalai Lama clarified it discribing himself as a “son of India” who sustained on Indian food and is educated with the rich ancient knowledge of India. He paid tributes to the Indian masters and lauded India’s effort to revive its Buddhist culture. He argued that modern education needs a strong sense of values and ethics. “As someone who have studied ancient Indian knowledge for the last sixty years, I feel that modern education is not sufficient to bring genuine happiness. We should pay more attention to the ancient Indian knowledge to solve the emotional crisis prevailing in the world. Therefore, Buddhism is highly relevant in the 21 century and we should start teaching it as an academic subject rather than just treating it as a religion,” Dalai Lama asserted. Later, visiting the NNM campus he told students, who come from India and many parts of Asia, that “no matter how small the university is at the moment, you carry the name of Nalanda. Therefore, you have an immense responsibility to revive the heritage of this historic university”. He added, that “in the years to come, this university would regain its lost historic significance and become the primary seat of Buddhist learning and knowledge worldwide”. Nalanda University was one of the first universities in the world, founded in the 5th century BCE. At its peak, in the 7th century CE, Nalanda held some 10,000 students and 2000 teachers. It was burned to the ground by Turkic-Muslim invaders led by Bakhtiyar Khilji in 1193. In 1951, the first President of independent India Dr Rajendra Prasad revived the Nalanda University by establishing the NNM, which is today regarded as a “Deemed University” allowed to confer degrees and is funded by the Ministry of Culture. However, in 2010 through an act of the Indian Parliament a new Nalanda University was established which was later endorsed by the East Asia Summit. 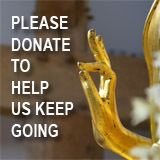 They are still to build their campus and the project has met with fierce opposition from Buddhists across Asia because they have been largely ignored in its planning and implementation. Dalai Lama and the Tibetans have been left out of this project on Chinese government insistence in return for Chinese funds. In presentations at the conference, Dalai Lama as well as other Tibetan Buddhist scholars emphasized the fact that the Nalanda education tradition has been maintained and nurtured by the Tibetans. Thus, there were strong indications the current Indian government may be considering merging the two universities in the near future. To emphasise the “free inquiry” tradition of Tibetan monastic education tradition, that was nurtured by Nalanda, there was a demonstration of how young Tibetan monks argue out points with their teachers in the confines of the monastic education system. In plenaries and panel discussions over the 3 days the major themes that came up included whether the mindfulness fad sweeping the West need to have spiritual ethics from Buddhism inserted to it; why Buddhists need to do more to be engaged with the community – what is known as ‘socially engaged Buddhism’ – and how science and Buddhist philosophy can interact to create a better environment and a peaceful world. Venerable Prof Ittademaliye Indasara of the Buddhist and Pali University of Sri Lanka noted that the Buddha has taught how the mental behavior of man could have a direct impact on the environment and when their thoughts are purified, the living environment becomes a conducive place for living. He pointed out that in ‘Vanaropa Sutta” Buddha has clearly explained the merit one gains to be born in a good environment if you protect forests, build parks, bridges and establish shady places. “It is unfortunate that man has not been able to understand the fact misuse of natural resources is a crime,” he argued. The need to manufacture and store armaments was questioned by Dr Ram Nakshatra, Pali Professor at NNM in a paper presented to the conference. He pointed out that at the end of a war both sides loose and have to rebuild. “It always results in damage of wealth, health, environment, mental status and its consequences reach up to the next generation” he argued adding that behind all these situations is the 3 poisons of Buddhism – greed, hatred and delusion. “All the misdeeds are being executed first in our wicked mind. So we have to first remove all the unwholesome thoughts from our minds”. This is a theme touched by the President of India Pranab Mukherjee in his speech at the valedictory session of the conference. He argued that today we are witnessing a “wanton destruction of human civilization” and no part of the world is free from this culture of violence. “It is wanton destruction of the values, of the heritage that have been built up over centuries through generations,” noted President Mukherjee. “When the Gandhara architecture at Bamiyan was bombarded by Taliban it was not just an expression of violence against idolatry expressions, but it is a violence against world heritage”. He said that the big question is how to combat this mindset and it is universities and educational institutions that need to address it with an open mind. “Universities are places for open minds, free discussions, raising questions and finding answers to satisfy curiosity. Education means development of mind, which requires constant interaction with teachers, fellow students and others. The atmosphere must be free from prejudice, intolerance and violence and be conducive to free flow of ideas to make the world a better place,” President Mukherjee argued. “While recognizing the traditions we need to recognize the social needs and not attached to old ways of practice or teaching and we need to open up and embrace the changes,” Dr Christie Chang, President of International Lay Buddhist Forum told Lotus News. She emphasized that while Buddhism face threats in Asia, “we need to stay positive and follow up on networking here … it is good to meet such loving compassionate Buddhists … we need to form alliances…… we need to match proposals with funding and see how Buddhist can form a voice”. The Nalanda Declaration read out in the presence of President Mukherjee while calling upon the Buddhists to be peaceful and socially engaged, emphasized the importance of an ongoing dialogue between science and Buddhism. 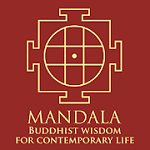 “Sciences have explored the outer world and Buddhism has explored the inner world” the Nalanda Declaration noted, adding, “in contemporary times these two traditions of exploration are meeting and discovering that instead of being contradictory they are in fact complementary with one another. With exposure to Buddhist thoughts scientists have begun to study the workings of the mind with ground-breaking results. Ongoing dialogue between science and Buddhism is bound to open many avenues of scientific research and its application to betterment of humanity”.